Today's installment of Stringbags provides a short break from our sojourn into the world of the 1st Aero Squadron... soon to be continued. The Avro 531 'Spider' was a one-off prototype that did not enter production simply because, apparently, said prototype was completed too late... a competitor, the Sopwith Snipe, had already been selected as the RFC/RAF's newest scout aeroplane by whomever did such selecting back then. The design utilized both newly-conceived and existing components, the latter coming primarily from the Avro 504. 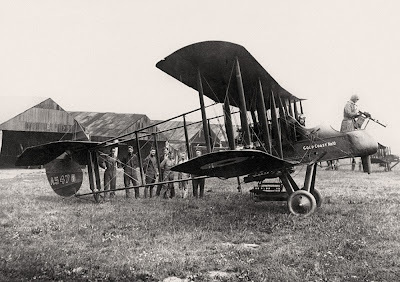 Actually, there was a second machine constructed which, although related to the Spider, was a bit different, mainly in the design of the wings and struts. This second aeroplane was envisioned as a racing machine, but it was never used as such. 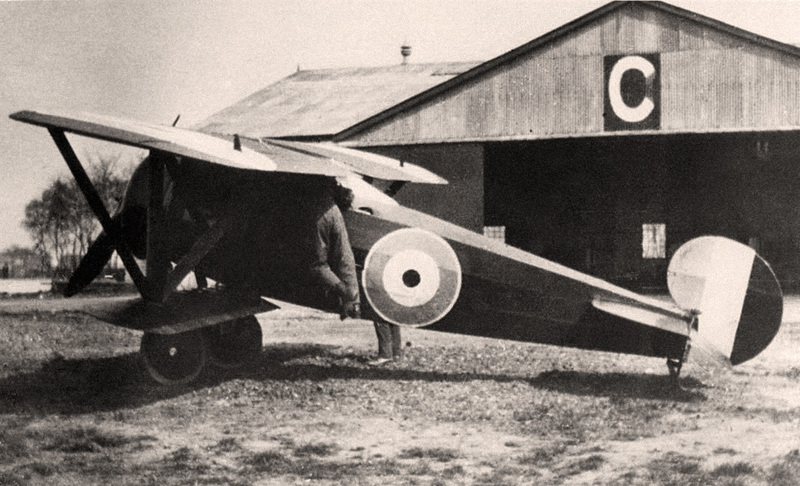 Both machines were employed as 'hacks' of a sort by Avro until the early 1920s. Anyhoo, we think that's the straight dope on the Spider... admittedly, we've not taken much time to do research on this kite. We did however come across an article with a blurb about the Spider in an online PDF presentation of an old ish of 'Flight' magazine, and have reproduced the relevant text from that rag below. The Avro 'Spider,' Type 531. April, 1918. The following spring saw an entirely diferent type of machine issue from the Avro works. 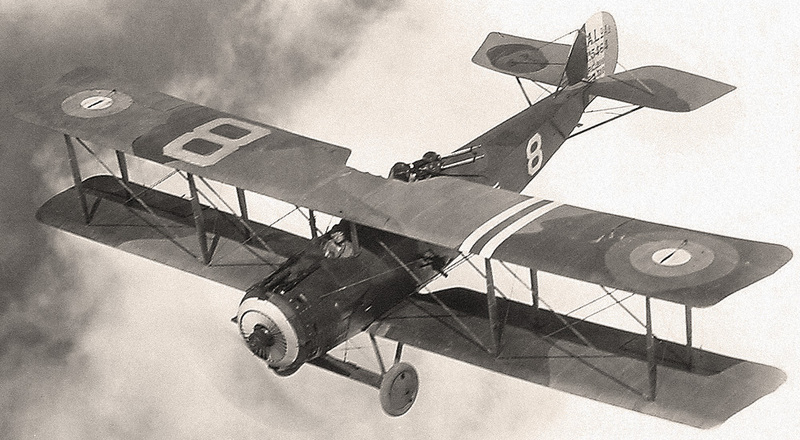 This was a single-seater 'Scout,' in which the wing bracing was along quite unusual lines. From the illustrations it will be seen that, instead of the ordinary wing bracing wires or cables, the 'Spider,' as this machine was called, had Vee struts arranged in the form of a Warren truss. It may be remembered that in 1917 we published in Flight a series of articles by 'Marco Polo,' entitled 'Wing Bracing and Head Resistance,' in which this particular form of wing bracing was dealt with. In this article the author expressed the opinion that although the combination of Nieuport Vee struts and Warren truss did not appear to give the absolute minimum of resistance, it did have a low resistance, while at the same time having the structural advantage that the distance between supports was reduced, thus resulting in a lighter structure, and that therefore the arrangement might be found to be worth trying. This appears to be what the Avro designer has done, and we may therefore be pardoned a certain special interest in this particular machine. We understand that the 'Spider' was extremely manoeuvrable and light on the controls, and the accompanying table of performance indicates that the machine had quite a good turn of speed--120 m.p.h. 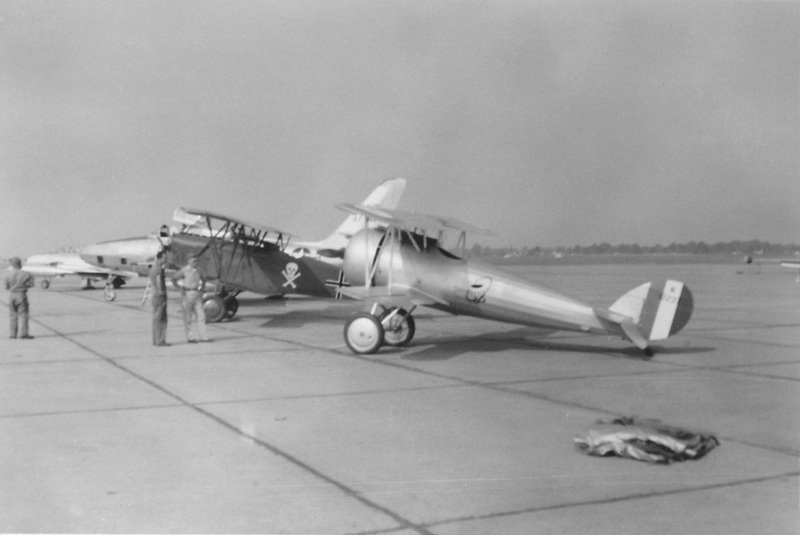 at ground level with a 130-h.p. Clerget engine is not bad--while the climb was also satisfactory. The pilot was so placed that his eyes were on a level with the top plane, in which a circular opening was cut out. This gave a good view both upwards and horizontally in all directions, while the small chord of the bottom plane gave a minimum of obstruction to downward visibility. The 'Spider' might conceivably make a good sporting model, especially if ﬁtted with a somewhat smaller engine, since the petrol bill for a motor of 130 h.p. would probably be more than the majority of owners would care to spend. However, as the machine is light there does not appear to be any reason why, in a slightly modiﬁed form, it should not be ﬁtted with, say, an engine of 80 h.p. or thereabouts. 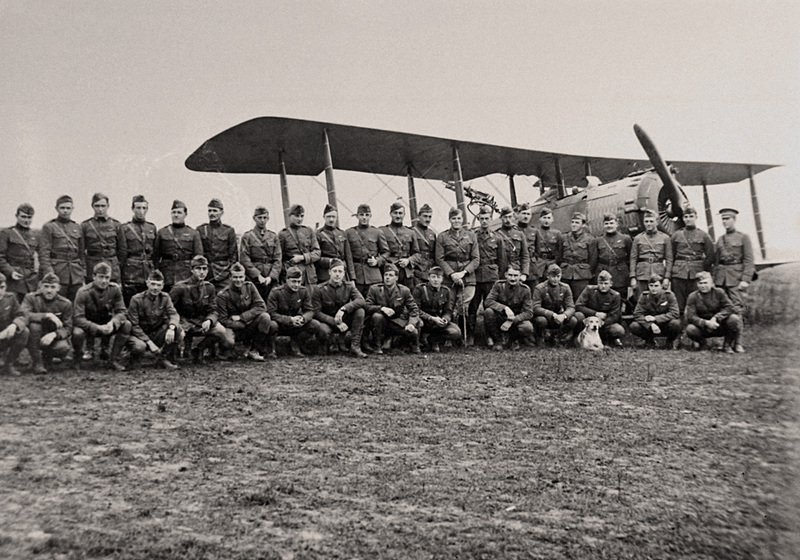 Today we bring you a quickie... 'tis a nice group shot of the 1st Aero Squadron with one of their Salmson 2A2s. Actually, we *think* we've been able to identify another member of the squadron as well, but are not totally sure. 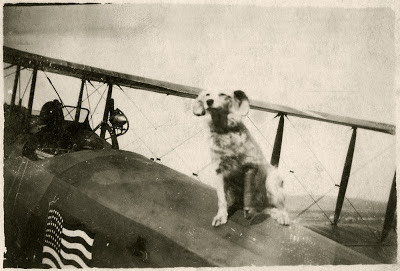 This may be Snoopy's cousin, the pooch shown in the photo we shared a few weeks back which sparked this whole 1st Aero Squadron business. Again, we're not sure that it is indeed Snoopy's cousin, but he does, at the very least, look akin to the chap. Continuing our look at the 1st Aero Squadron during the Great War, today Stringbags would like to submit for your approval this photo of a Salmson 2A2 named 'Gertrude A', and two of her boys. The guy in the turret is Lt. Arthur E. Easterbrook and the other fella is Lt. Arthur J. Coyle. As he taps the keys to write this, your blogmeister has learned little about the latter, but a fair bit about the former... including the fact that this crate was named for Easterbrook's gal back home. Along with the majority of Americans who fought in the Great War, Arthur Edmond Easterbrook got into the show rather late, enlisting in August of 1917. We're a bit unclear as to all the details of his time 'over there', but apparently he initially served with a British outfit, 9 Squadron RAF, as an observer flying in FE.8s. 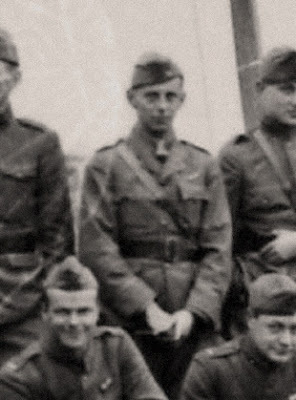 On August 20th, 1918 he was transferred to the 1st Aero Squadron and, during the final few months prior to the armistice, became one of the last aces of the Great War, netting two DFCs in the process. 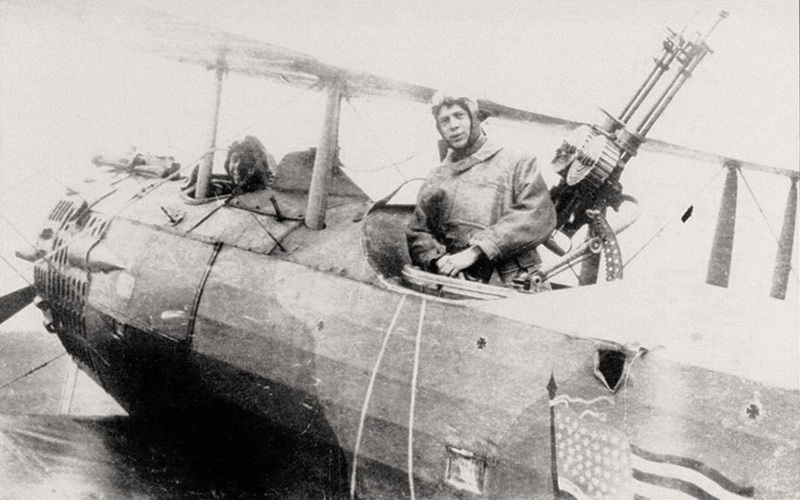 Easterbrook's first victory came on October 6th, 1918, and has been identified only as an 'EA', 'enemy aircraft'. 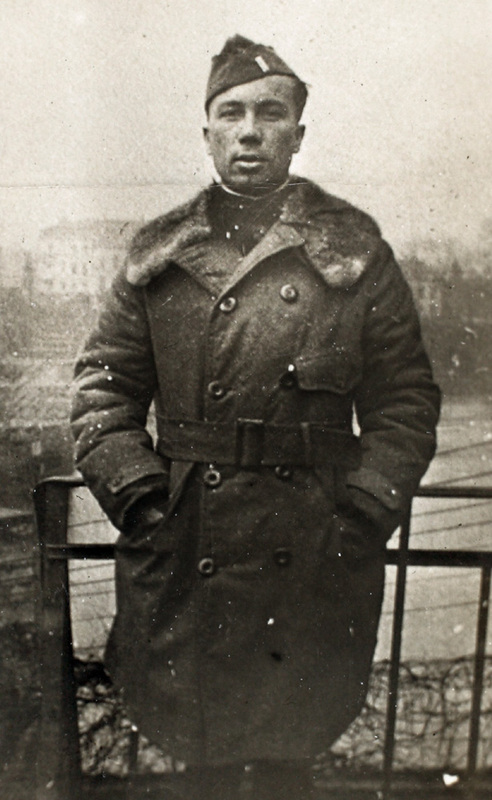 He scored two more victories on October 8th, both two-seaters of unknown (to us) type. His fourth victory came on October 22nd, another unidentified two-seater, and the fifth on November 4th, 1918... reported to be a Fokker D.VII. 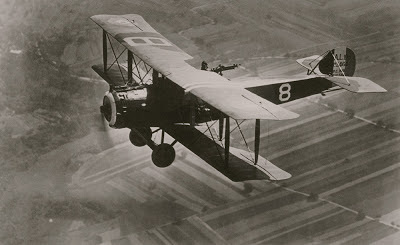 For the first four victories Easterbrook's pilot was Lt. William P. Erwin, but Lt. Arthur J. Coyle was pilot for the fifth, and the photo above was quite possibly taken upon the occasion of this last victory. 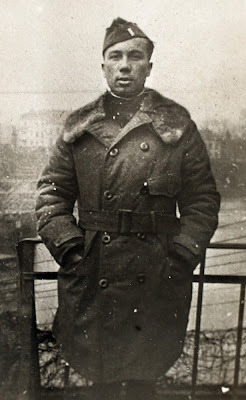 Here's a look at Lt. Erwin, Easterbrook's pilot for his first four victories. 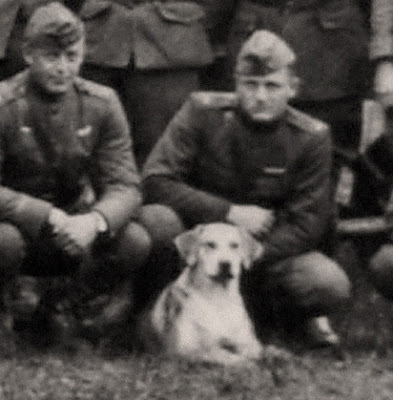 Erwin himself was credited with a total of eight victories, shared with the various observers with whom he flew. 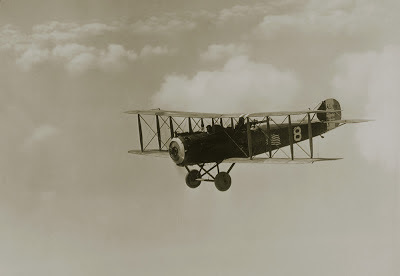 Observer, 1st Aero Squadron, Air Service, A.E.F. 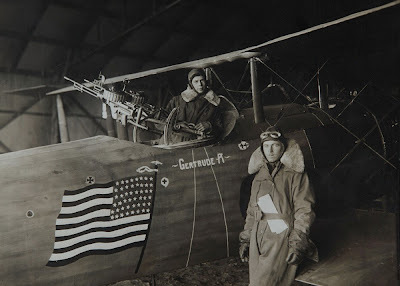 The Distinguished Service Cross is presented to Arthur Edmonnd Easterbrook, First Lieutenant (Air Service), U.S. Army, for extraordinary heroism in action near St. Mihiel, France, September 12, 1918. Because of intense aerial activity on the opening day of the St. Mihiel offensive, Lieutenant Easterbrook, observer, and Second Lieutenant Ralph E. De Castro, pilot, volunteered to fly over the enemy's lines on a photographic mission without the usual protection of accompanying planes. 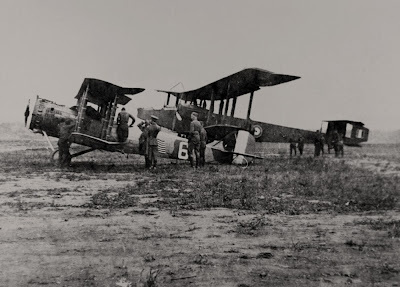 Notwithstanding the low-hanging clouds, which necessitated operation at an altitude of only 400 meters, they penetrated 4 kilometers beyond the German lines. Attacked by four enemy machines, they fought off their foes, completed their photographic mission, and returned safely. The Distinguished Service Cross is presented to Arthur Edmond Easterbrook, First Lieutenant (Air Service), U.S. Army, for extraordinary heroism in action near Exermont and Varennes, France, October 8, 1918. Lieutenant Easterbrook, with Lieutenant Erwin, pilot, successfully carried out a mission of locating our Infantry, despite five encounters with enemy planes. 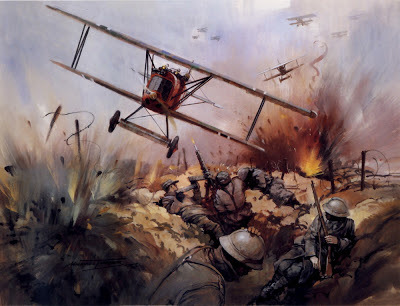 During these encounters he broke up a formation of three planes, sending one down out of control; killed or wounded an observer in an encounter with another formation; and sent a biplane crashing to the ground, besides driving away a formation of two planes and several single machines. Arthur Easterbrook went on to serve with the USAAC during the 1920s and 30s, and with the USAAF during the Second World War. He was a member of the staff for Chief of the Army Air Corps, General Henry 'Hap' Arnold, and later commanded AFWTC (Air Force Western Training Command) and was commanding officer of Santa Ana Army Air Base in California, retiring as a Brigadier General on August 21st, 1946. Sadly, he spent the last couple years of his life in a wheelchair after falling from a tree in 1950, and died from a heart attack in 1952 at the age of of 58. For starters, we offer this groovy shot. We don't know who these fellas are, but our guess would be that they're #17's regular crew, proudly framing the crate's number and the outfit's flag emblem. 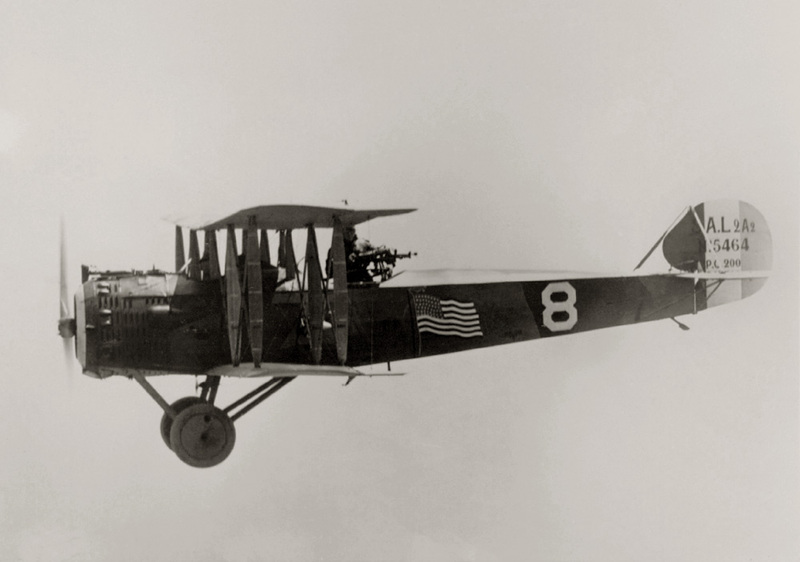 The U.S. Army Air Service's 1st Aero Squadron was more or less officially formed a little more than one-hundred years ago, in March of 1913. By the time the U.S.A. threw its hat into the ring that was the Great War, in April of 1917, the only 'combat' experience the 1st Aero Squadron had under its belt involved some unpleasantness down along the U.S.A.'s border with Mexico. The role played by the 1st during this time was primarily that of reconnaissance, communication, and possibly the odd burrito run. (hey, you never know) We may cover this in a future installment... or we may not. 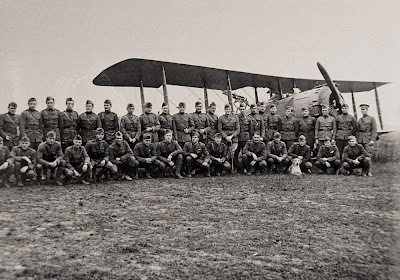 But today we're gonna focus on the 1st Aero Squadron's time 'on the continent' during World War One. 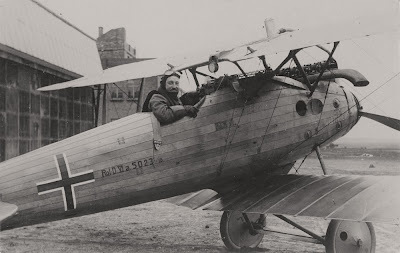 Anyhoo, the outfit was initially equipped with the SPAD S.XI, but suffered through chronic engine problems until they converted to the Salmson 2A2 in June of 1918. 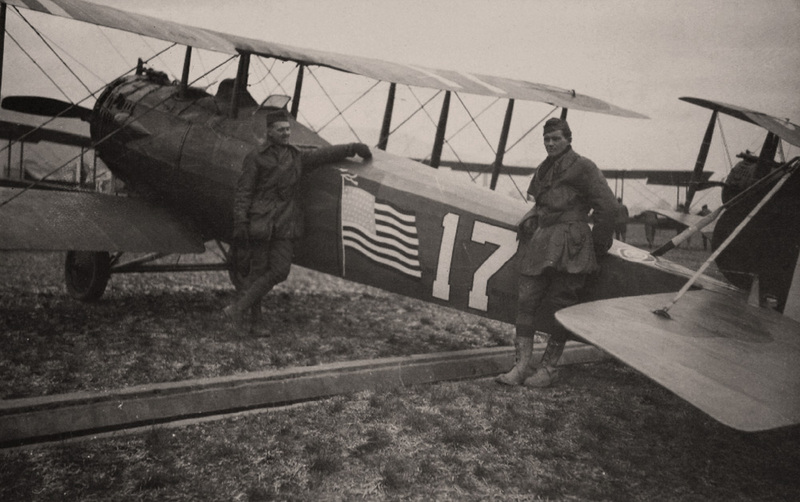 It was also in June that the 1st Aero Squadron adopted the American Flag as its emblem.